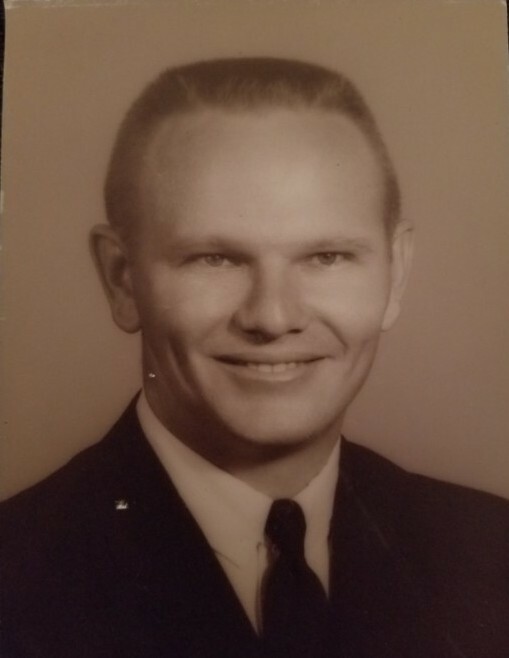 Funeral service for Bruce Frost Sr, age 77, of Como will be held at 3:30 PM on Sunday February 3, 2019 at Black Oak Baptist Church with Rev. Charlie Beliew officiating and Rev. Mike Harmon and Bro. Michael Zambrano assisting. Interment will follow at Black Oak Cemetery with Bruce Frost III, Joshua Frost, Justin Moore, Michael Zambrano, Drew Wilsford and Trent Fields serving as pallbearers and Ronnie Gunn, Jessie Zambrano, Gerald Walters, Mike Harmon, Dennis Hunt, Larry Blann, B.J. Teer and Ricky Blann serving as Honorary Pallbearers. Visitation will be from 1:30 to 2:30 P.M. at Murray-Orwosky Funeral Chapel prior to the service. Mr. Frost passed away on Friday, February 01, 2019 at Baylor-Scott-White Medical Center, Dallas. Bruce Wayne Frost, Sr. was born on December 4, 1941 in Walderon, AR to Raleigh and Louveda Frost. He married Ray Nell Earhart in Poteau, OK on July 27, 1962. Bruce graduated from Arkansas Tech University with a Bachelor’s of Science Degree and obtained his Master’s at Texas A & M. He was a School Teacher, Coach, Principal and Superintendent. Bruce served in the US Navy. He was a member of Texas State Teachers Association and Black Oak Baptist Church. He is survived by his wife, Ray Nell; sons, Bruce Frost Jr and wife Tammy, Kevin Frost; daughters, Kimberly Zambrano and husband, Jessie, Kandice Frost; grandchildren, Bruce Frost III, Emily Moore (Justin), Joshua Frost, Amanda Wilsford (Drew), Michael Zambrano (Sarah), Nikki Fields (Trent); great grandchildren, Damien and Corbin Wilsford, Ander Moore, Jessie, Ansley, Mikey Zambrano, Scarlett and Cash Nuttall, and Jhett Fields; brother, Joe Frost and wife, Betty from Austin, TX. Bruce was preceded in death by his brother, Pat Ray Frost. Memorials can be made to Black Oak Baptist Church Building Fund or Black Oak Cemetery Association.